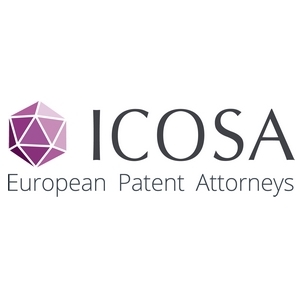 ICOSA Europe is an IP Law firm dedicated to Health and specialized in Life Sciences, Chemistry and Medical Device. The specificity of the ICOSA lies in its ability to provide solid IP and technological expertise, owing to a pluridisciplinar and fully qualified team of professionals. Promoting IP activities in line with the Corporate Strategy, capturing IP value, leveraging company valuation through IP, is what we do on a daily basis. IP Strategy, IP Assets Valuation. For ensuring that our clients will always benefit from high value-added services, the founding partners of ICOSA have deliberately decided to focus their activity on their life sciences expertise. Our areas of expertise thus include Biotechnologies, Pharmaceutical Chemistry, Medical devices, Greentech sectors, Cosmetics and Food Processing & Agriculture. ICOSA’s teams are formed of experts possessing a dual competency in science and Intellectual property. Our experts graduated from the best colleges and universities, and are, for most of them, PhD or post-doctorates in their field of expertise: this enables us to accompany our clients throughout the most complex scientific and technological issues. Further, we are enabled to represent our clients directly before the Belgium Patent Office (OPRI), the French Patent Office (INPI), the European Patent Office (EPO) and the World Intellectual Property Institutions (WIPO). Our expertise in IP and our high scientific level are tools to promote value, partnership, development and success.